Chief Justice Chancellor Emad Saleem Sa’ad met with delegation from International Legal Assistance Consortium represented by Director of Programs Mr. Shane Quinn and Legal Adviser Mr. Mikeal Ekam to discuss and follow up cooperation and activities related to independence of judiciary and rule of law. 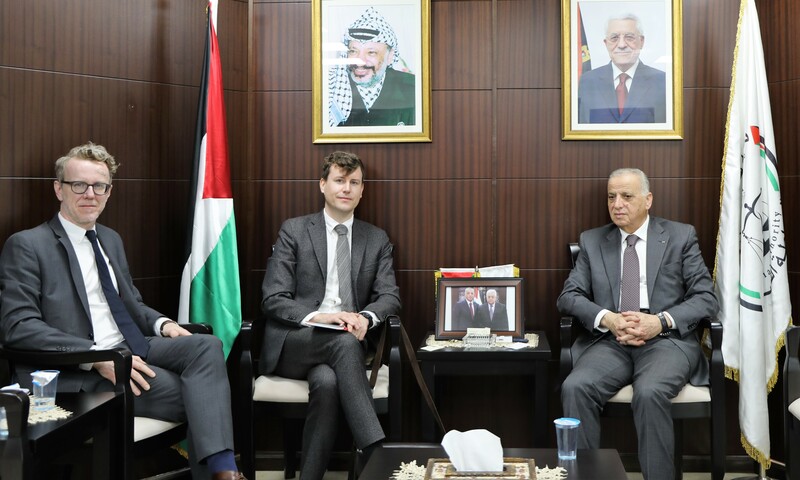 During the meeting, the delegation reviewed ilac main objectives and activities, and discussed the workshop that has been held in Jordan on legal assistance with participation from Palestinian and Tunisian judges. For his part, Chancellor Sa’ad assured the importance of continues cooperation between both parties and he emphasized complete readiness from High judicial Council to support other workshops and activities of ilac in future.